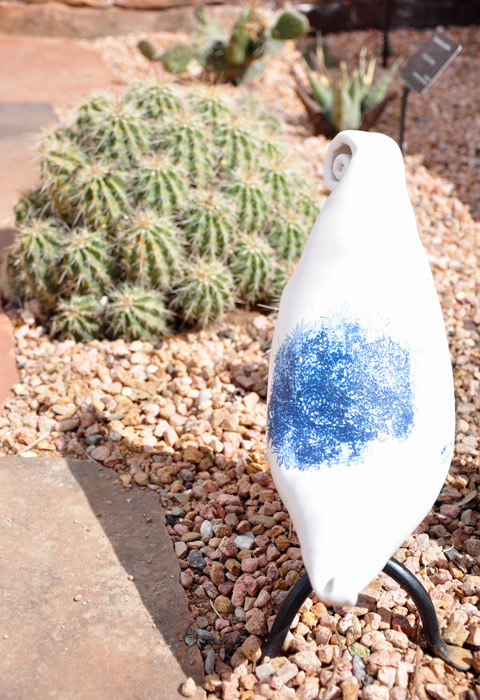 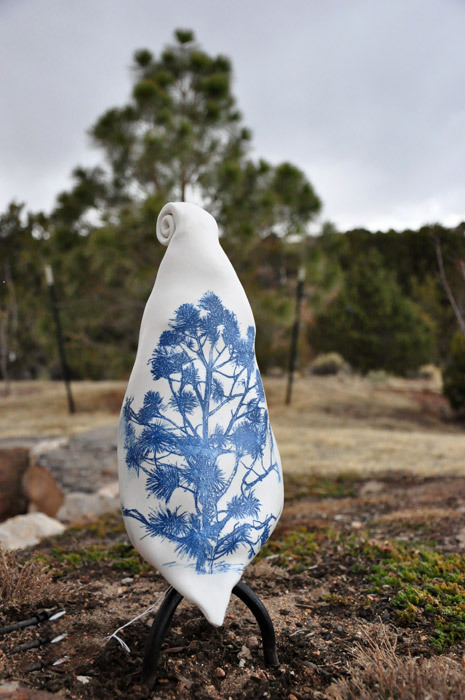 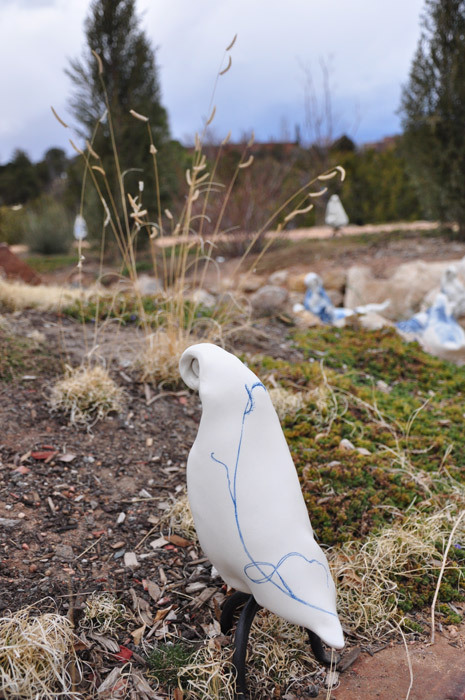 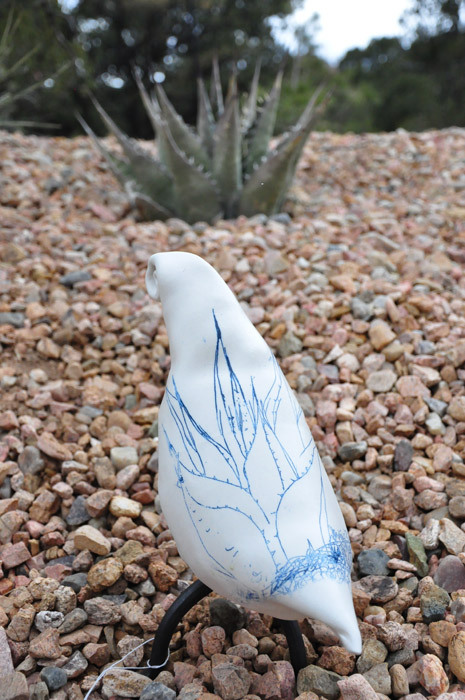 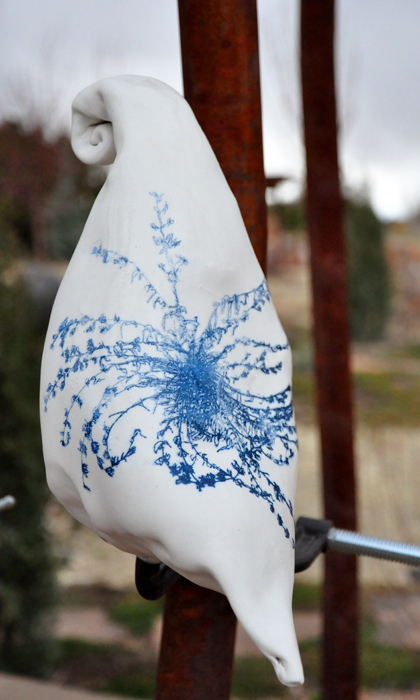 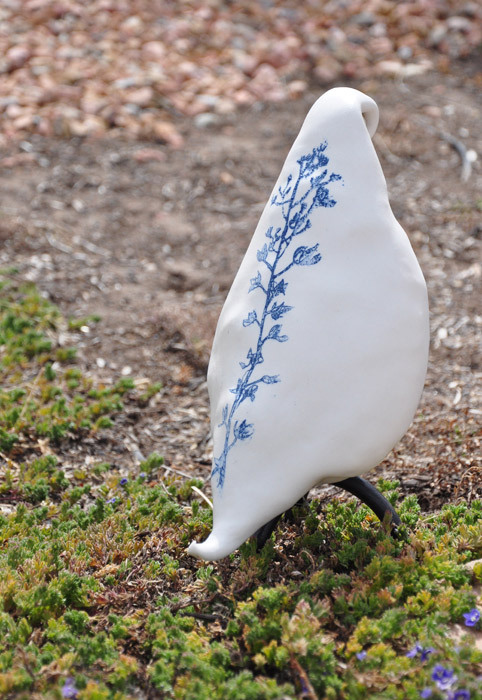 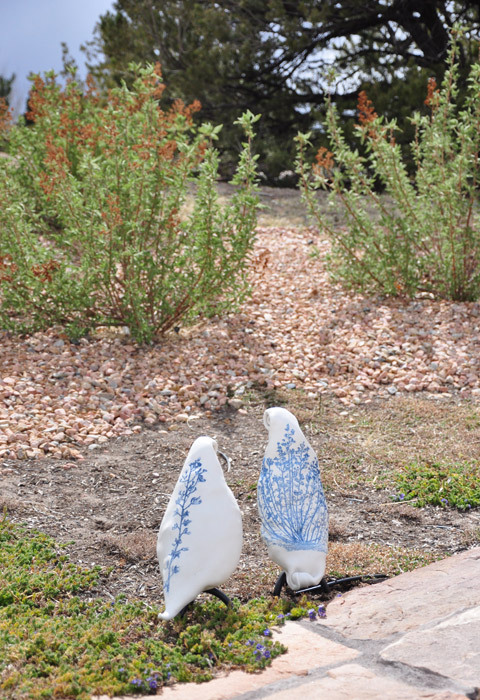 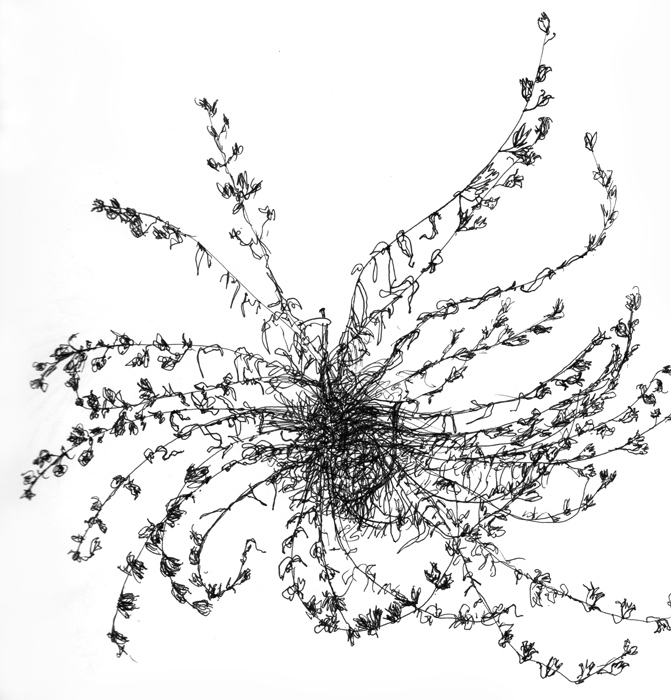 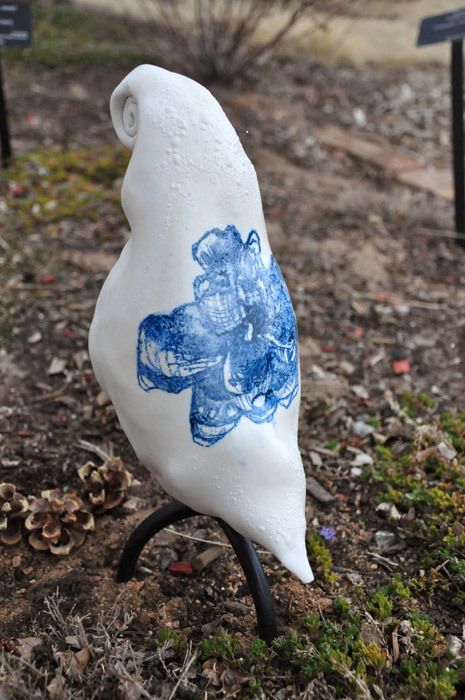 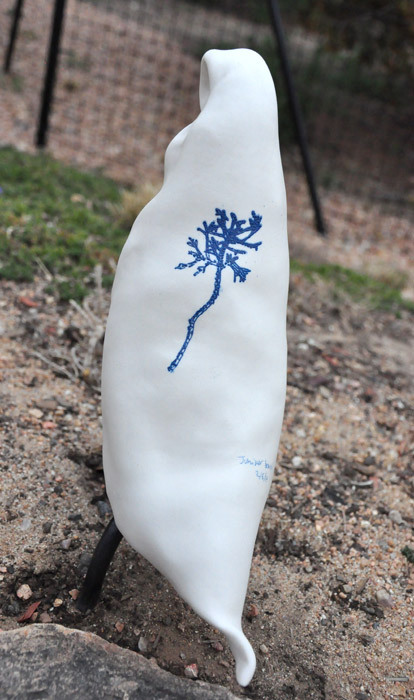 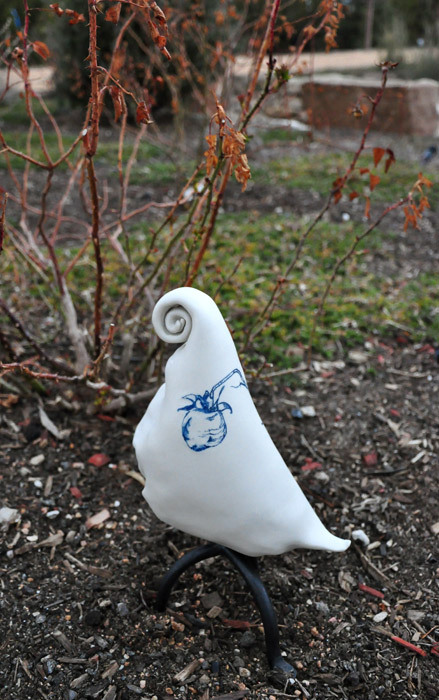 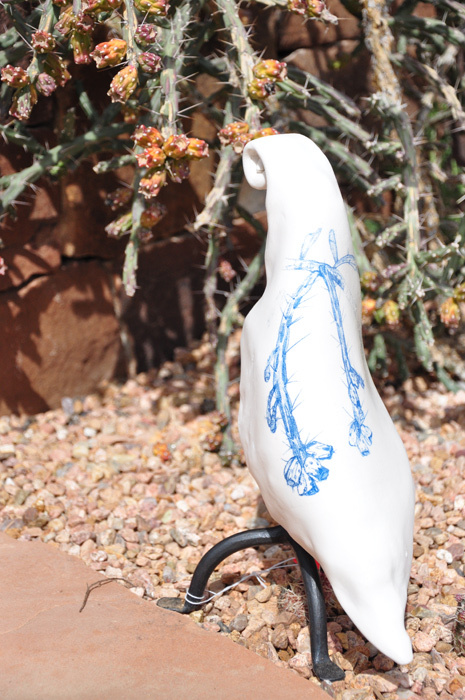 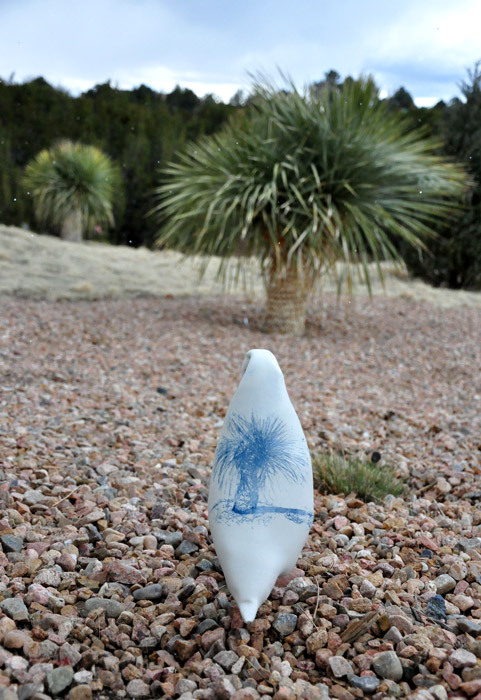 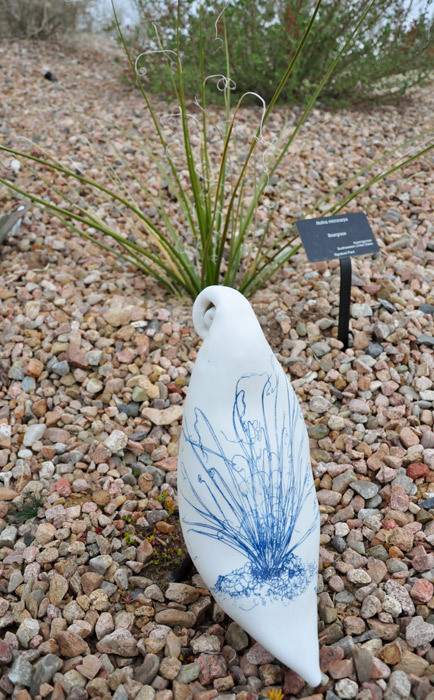 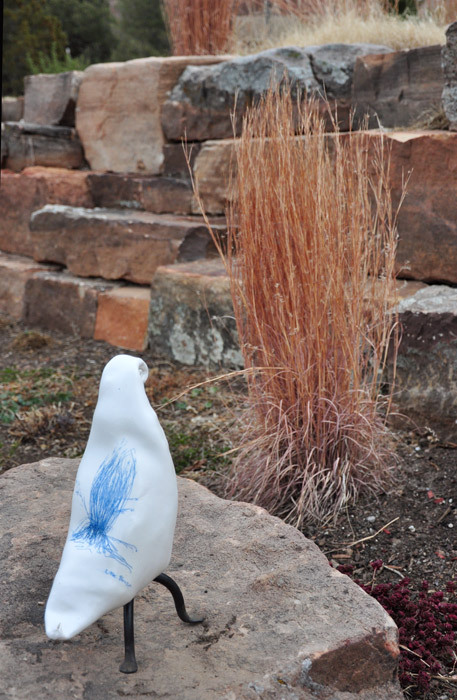 These are drawings, and porcelain birds made with those drawings, of plants at the Santa Fe Botanical Garden. 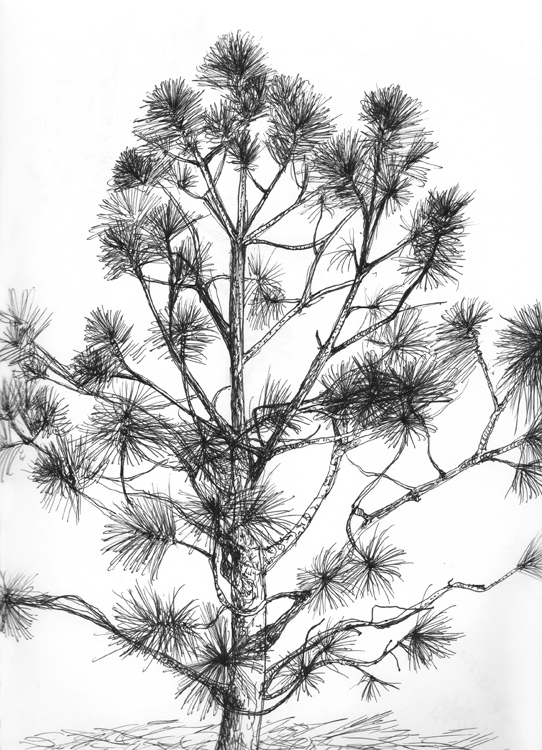 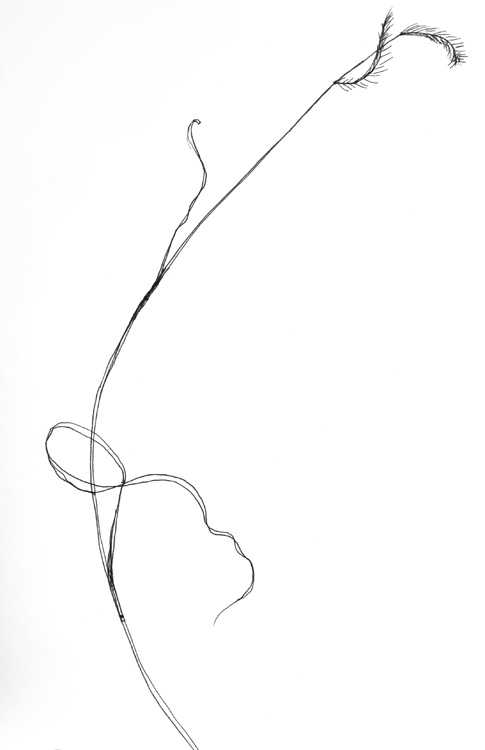 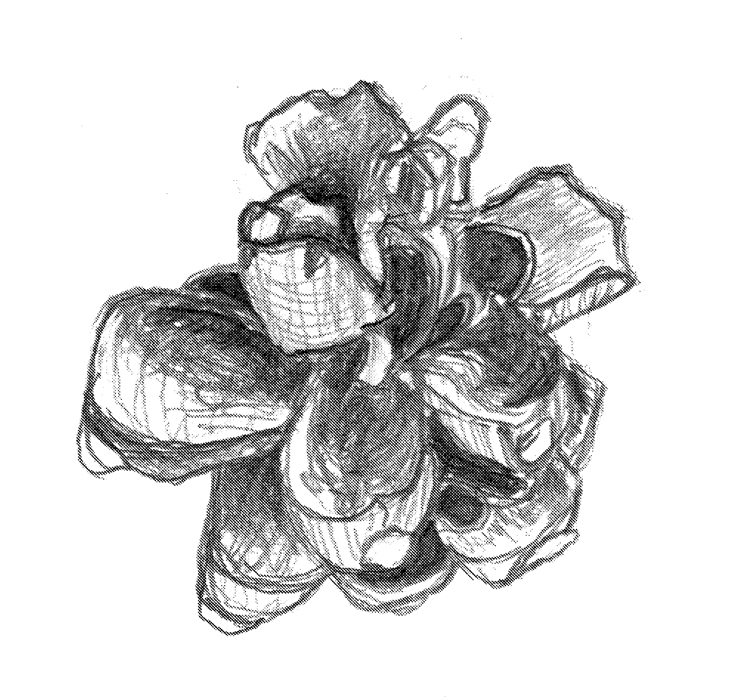 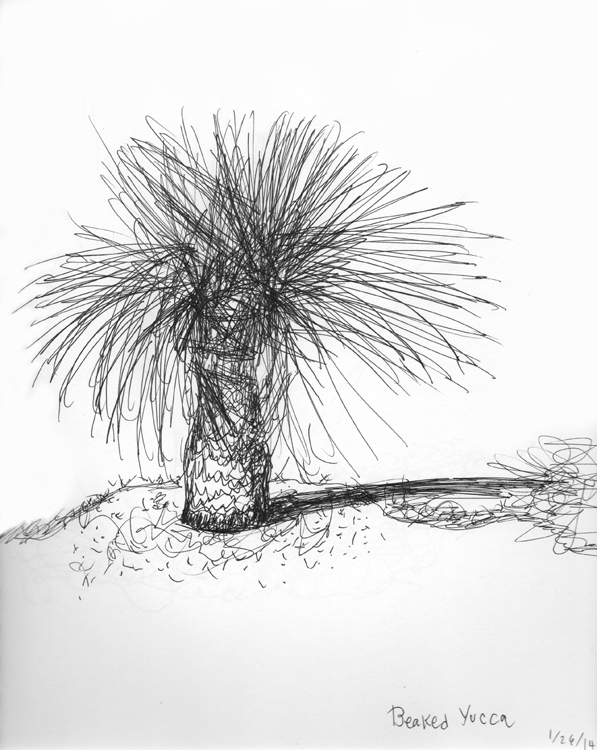 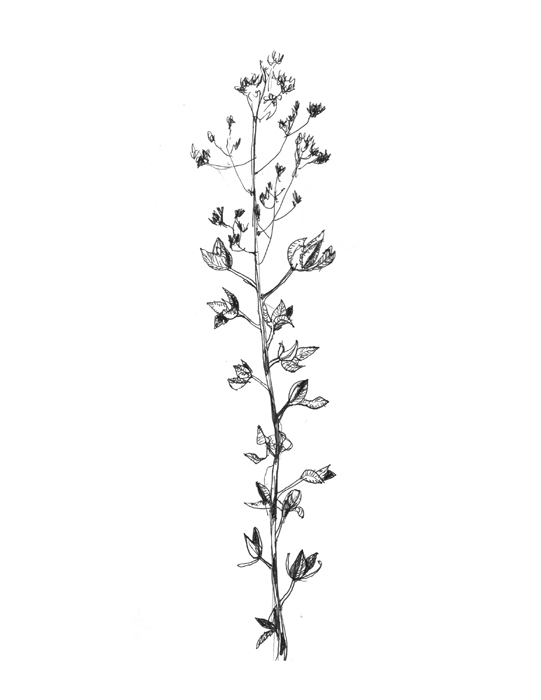 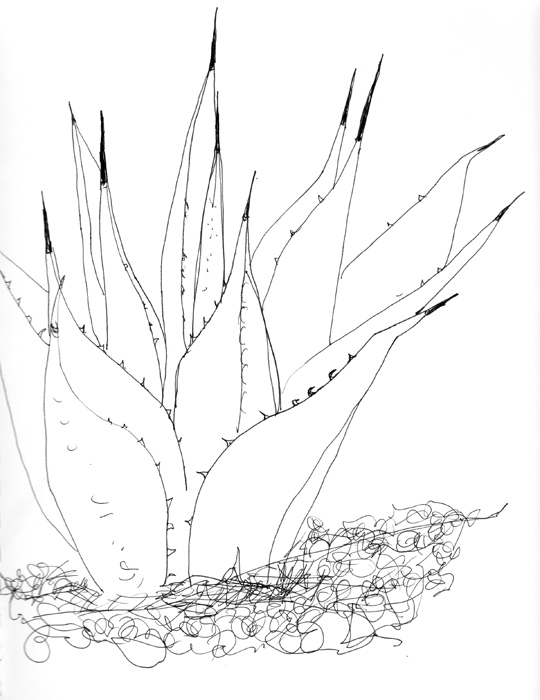 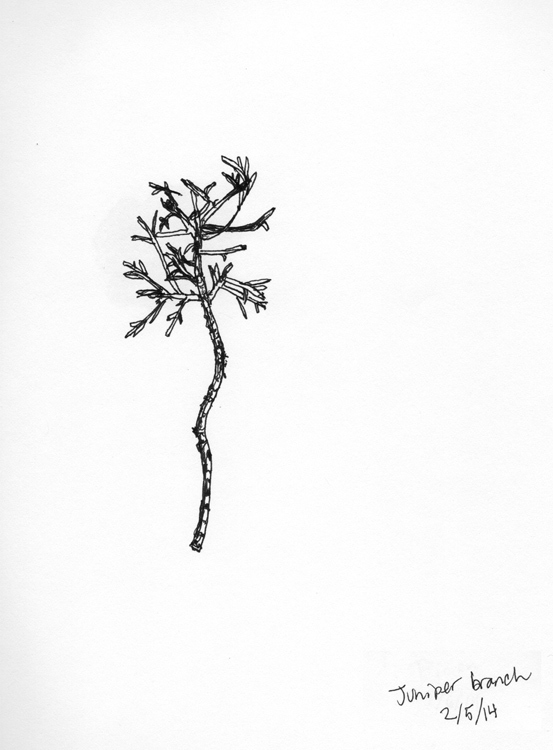 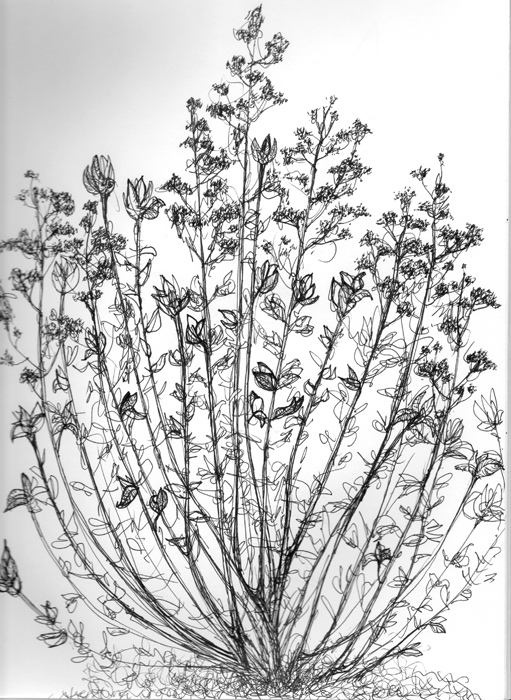 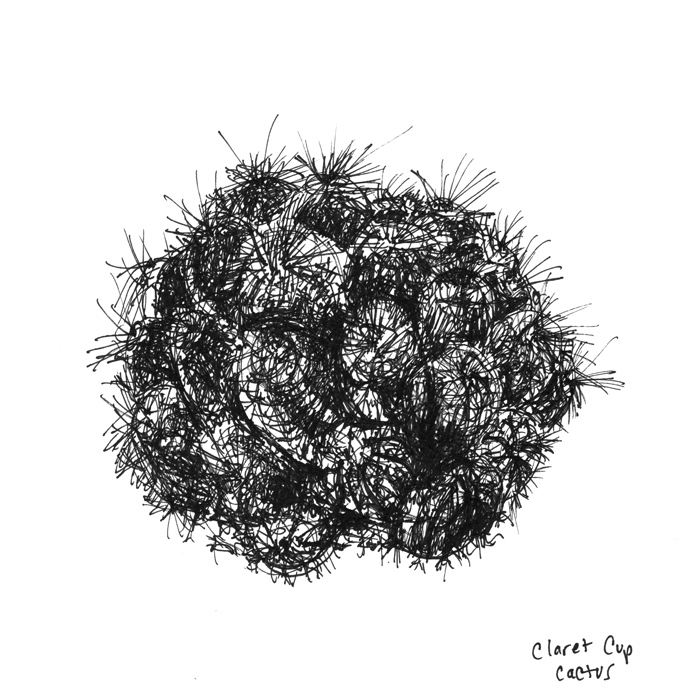 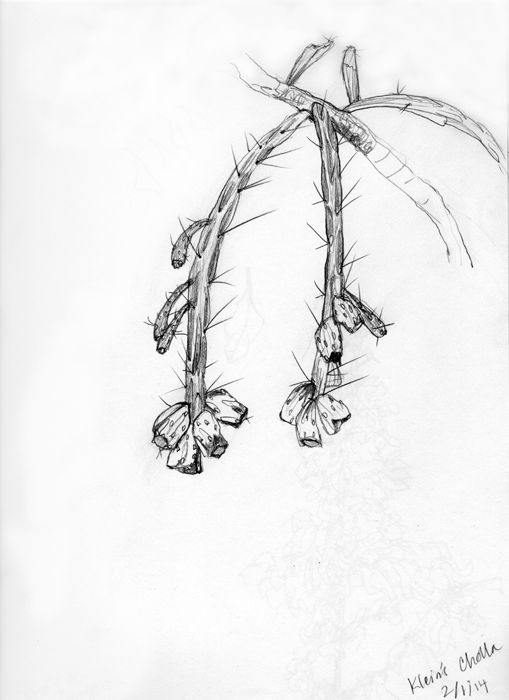 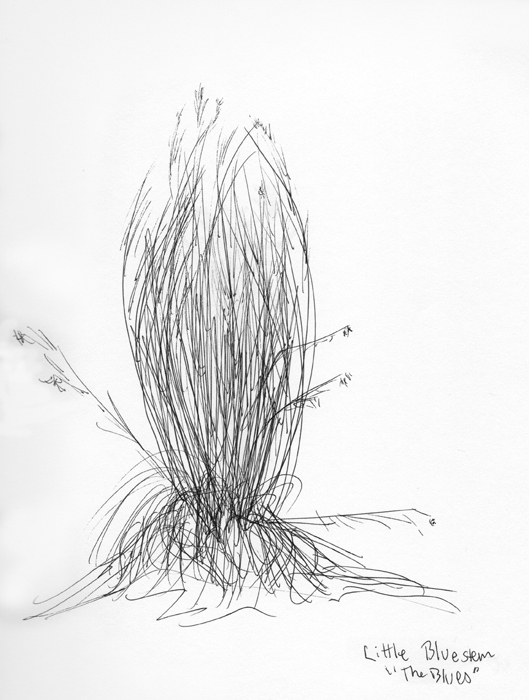 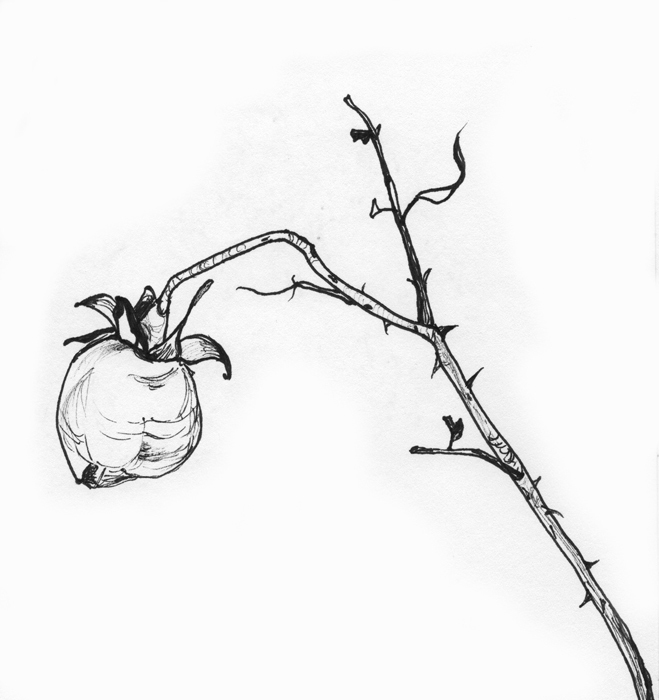 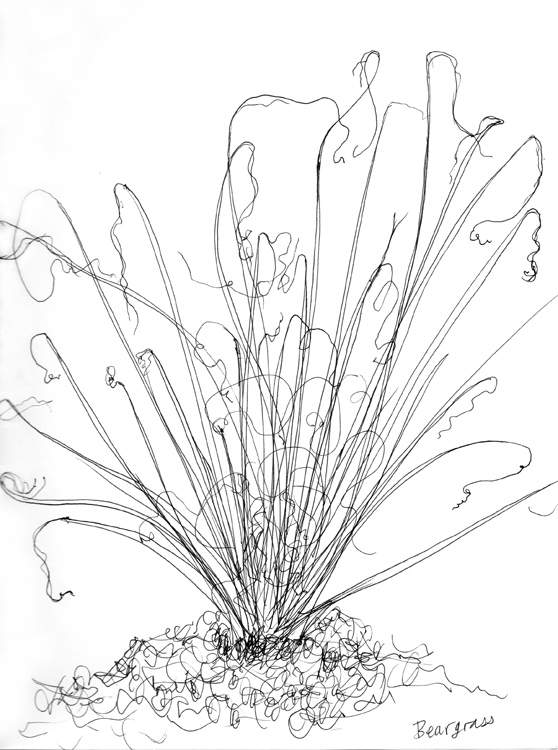 The drawings were made during the dormant stage of the plants. 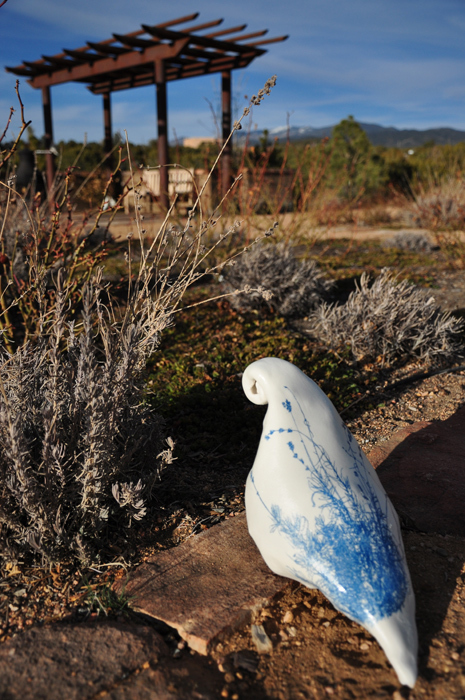 The new birds sit observing those same plants, which are now waking up to spring.